With a commitment to fostering local talent, the Atlanta Foundation for Public Spaces has launched several weekend-long festivals that take place throughout the city. Up next for the organization is the Peachtree Hills Festival of the Arts, taking place May 31–June 1at Peachtree Hills Park. The weekend will include over 150 fine painters, photographers, sculptors, leather and metal craft persons, glass blowers, jewelers and more from around the community, plus local food and beverage vendors, live entertainment and art activities. AFFPS’s reach has grown considerably over the years, and as a co-founder of the organization, artist Patrick Dennis has seen that growth first-hand. 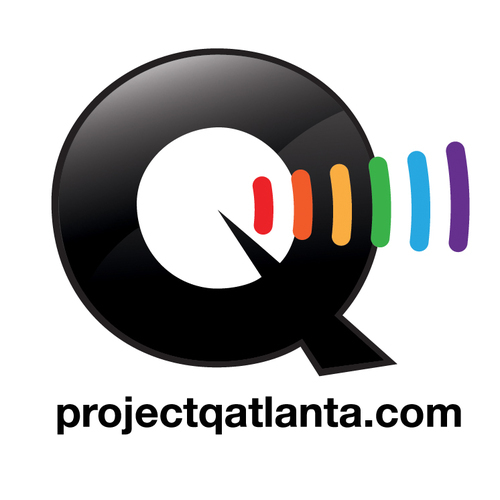 Along with Randall Fox, Dennis created the organization as a way to make art more publicly accessible to the Atlanta community after seeing similar markets in Washington, DC. We caught up with Dennis to talk about his work as an artist, the AFFPS and more. David Atlanta: How did you get your start as an artist? PD: I started with music at a very young age, playing several instruments. But when I finished college I started painting with watercolor. I learned from a great artist named Michael Robinson to develop an eye for balance and color, then began making collage. My first attempts – can it be 25 years ago already? – were purchased by some influential people who were very encouraging. One was a museum director that I still keep in touch with. After ten years of collage I began experimenting with oils and never looked back. Having grown up by the ocean, I incorporated my impressions of nature into every piece. To this day, the most frequent comments I get about my paintings is that they are “serene,” so I’d say those early influences were pretty strong. DA: What led you to create the Atlanta Foundation for Public Spaces? PD: After living in Washington, DC for awhile and enjoying the weekend outdoor markets there (especially Eastern Market on Capitol Hill), it was a difficult adjustment to make when moving to Atlanta where there is so much less publicly accessible art. My partner and co-founder Randall Fox took a trip to New York and came back full of ideas as to how we could change the face of Atlanta with art. We met with city leaders and developers to establish outdoor artist markets. These became so popular I quit my “real” job. We brought a group of artists together around the kitchen table and hammered out a plan for AFFPS to launch art festivals and events that are truly “by artists, for artists.” And here we are eight years later! DA: To you, why is it important to support local art? PD: I’ve always been a patron of the arts, but I have a unique perspective since I’m an artist myself. I understand the struggle for recognition, validation and financial reward for doing what one loves. I am also attracted to new, innovative art techniques and get excited to help nurture new, local artists who don’t know about resources available to them. I have found that we have an enormous talent pool of artists in the south. Film, literature and visual arts are well represented but underappreciated. If we can support emerging artists here, there is no limit to their success. DA: What inspires you creatively? PD: For my own paintings, it’s always the beach, or a coastline, or where salt water intersects fresh water. I love the reflections, the color, the enormity of a skyline and the luxury of a solitary experience being there. Even as my technique becomes more abstract over the years, I will always be inspired by water and solitude. I never, ever paint people into my paintings and there is a reason for that. What gets me most excited about art in general is the discovery of a new voice. Using unexpected materials, questioning the concept of beauty are qualities that I look for in new artists to follow. The crazy brain of an original artist is pretty inspiring! DA: Outside of your work with AFFPS, how are you involved with the Atlanta arts scene? PD: I’ve been on a couple of arts boards, gotten to know many gallery owners, served as a juror or judge for several exhibits and generally kept my nose in the business at all times. The art scene is changing and growing in Atlanta and I want a front row seat. I often refer to our art scene as being in its adolescence. We’re not fully mature, but we are fearless! I also help mentor individual artists and groups when I can. I like to think that my enthusiasm makes up for any lack of talent I possess. But in all honesty, I will never be far from the arts until my last breath.